Now we will sing a song called Auspiciousness That Lights Up the Universe. It is important for us to sing this song because the twenty-first century is a century of tremendous scientific advancement, tremendous achievement in terms of the increase in material prosperity and advance in technology, and it is very important for us to make aspiration prayers that all of these developments be boons to world peace and happiness and not adversaries to it. This will only come about if we aspire that it come about. And so it is important for us to sing this song. 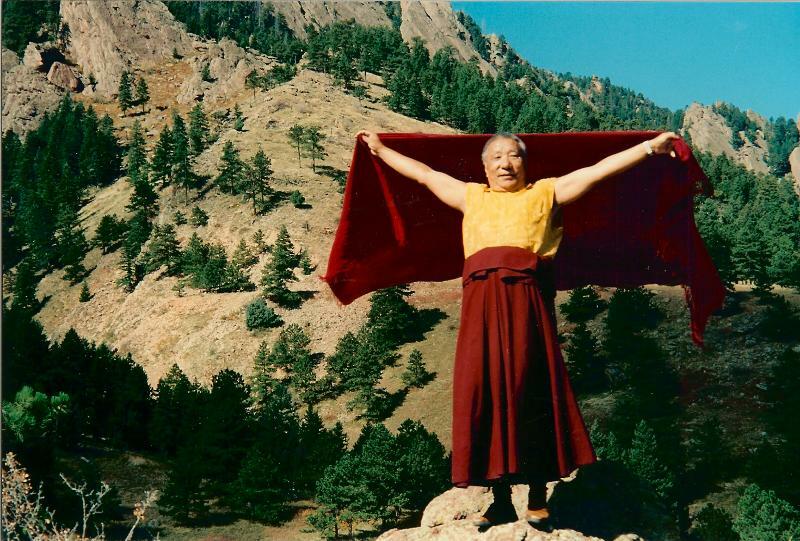 Khenpo Tsultrim Gyamtso Rinpoche, Shenpen Osel, Volume 3, Number 2, October 1999, p. 25. Translated by Ari Goldfield (lightly edited for the Weekly Quotes).